The largest turbine engine in the world, almost the width of the Boeing 737 fuselage, set off on its first flight. 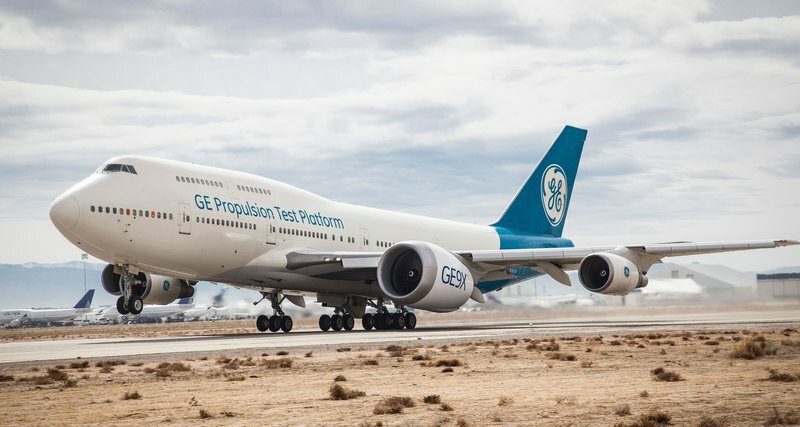 GE9X, created for the Boeing 777X model aircraft, has a 3.4-meter diameter propeller, its air intake reaches 4.5 meters. The engine is so large that its installation on the wing is fundamentally different from the usual procedure, since otherwise it will touch the ground. Although the GE9X was designed for the Boeing 777X, the first test flight with a new engine was carried out on the flying laboratory of the Boeing 747-400. The flight lasted more than four hours. The team conducted all necessary tests and evaluated a number of systems, preparing for future flights. The company already has orders for about 700 GE9X, and it plans to put the first engines on the 777X already this year.